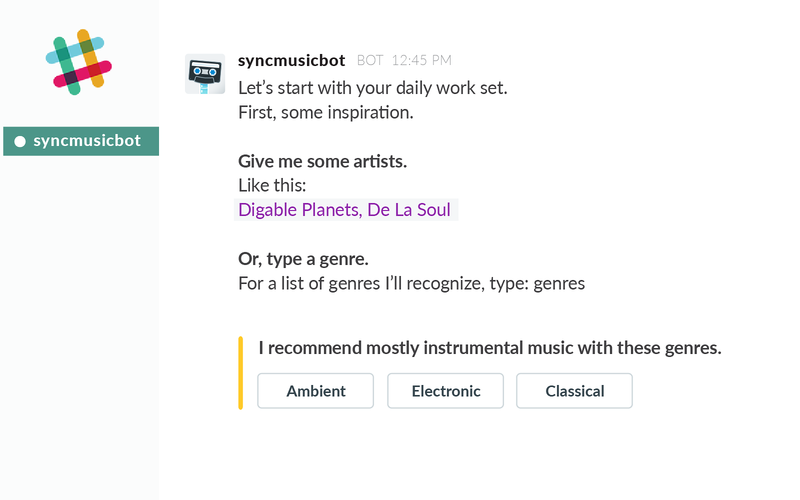 Spotify users: say hi to better work.Sync Music Bot intelligently delivers personalized music that’ll help get you in the zone, whatever your mood. 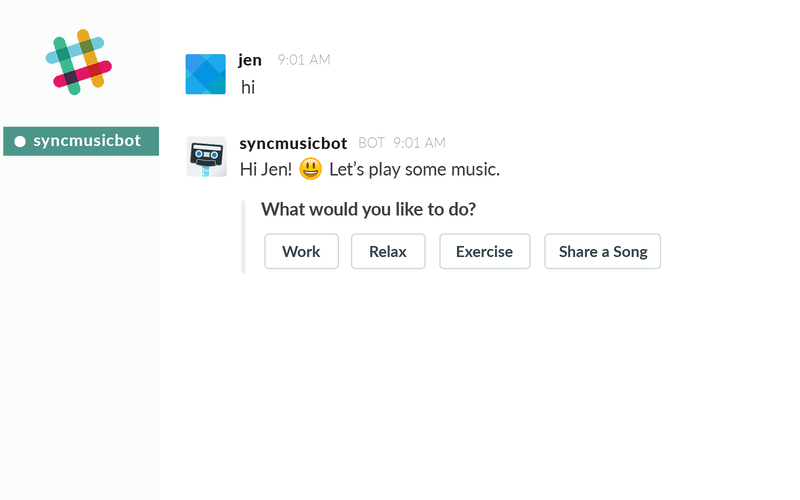 Request your favorite artists, and Sync Music Bot will create specially–tuned Spotify sets to go along with whatever you’re doing; coding, reading, writing, just kicking back, or even going for a run.Sync Music Bot is great for teams! 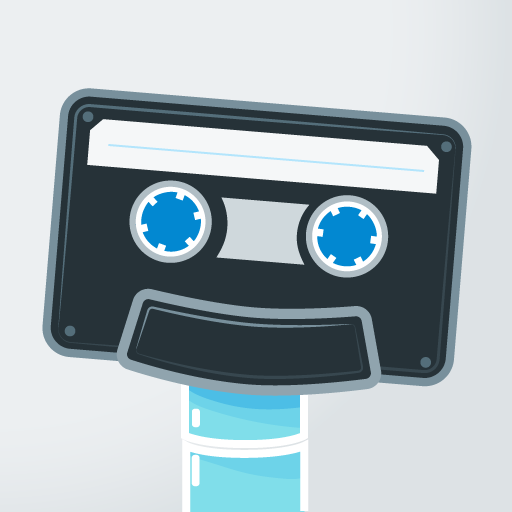 Share songs with friends and to channels – every reaction helps Sync Music Bot get better at making the best song choices for you.For the best experience, a Spotify Premium account is recommended, however a free Spotify account will get anyone on your team started. SyncMusicBot will be able to add and remove emoji reactions from messages and files, on your behalf. 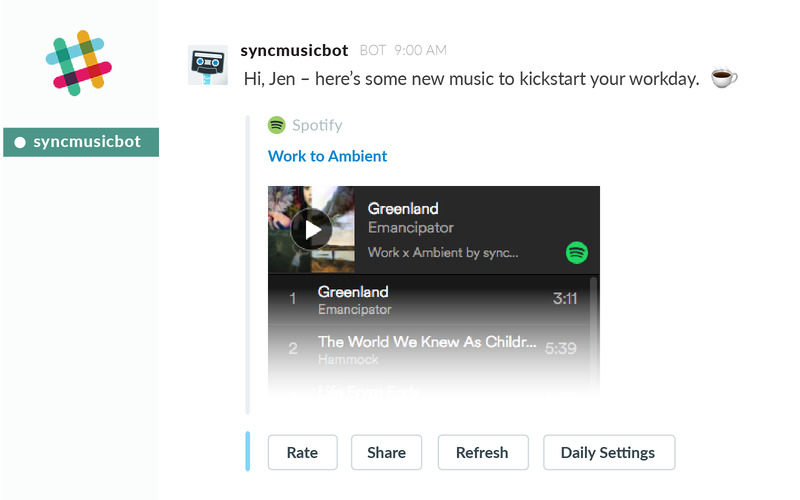 SyncMusicBot will be able to install a bot user that appears in and has access to your workspace’s directory. It can also post messages and view activity on messages in any channel it is invited to. 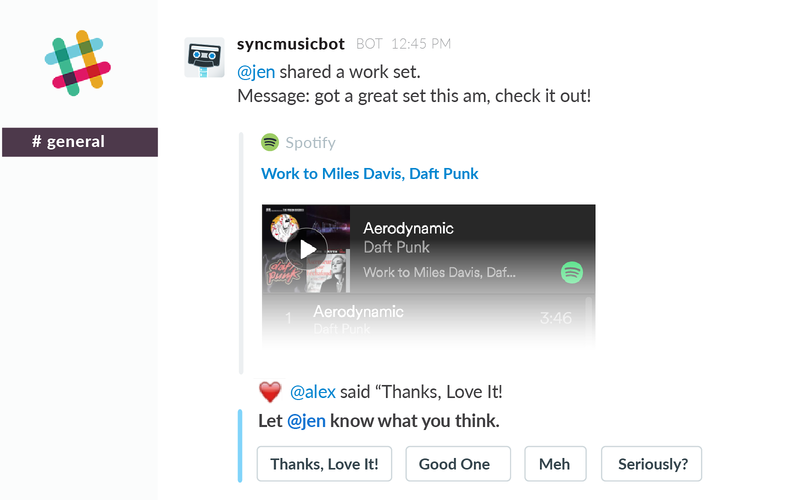 SyncMusicBot will be able to access emoji reactions on your workspace along with associated messages, files (including contents and information such as who uploaded it, when it was uploaded, and sharing history), and who added the 'reaction'.